I have a light fixture that came with a mounting bracket and some screws. When I went to screw the bracket into the ceiling fixture box, it looks like the box's holes are too big. 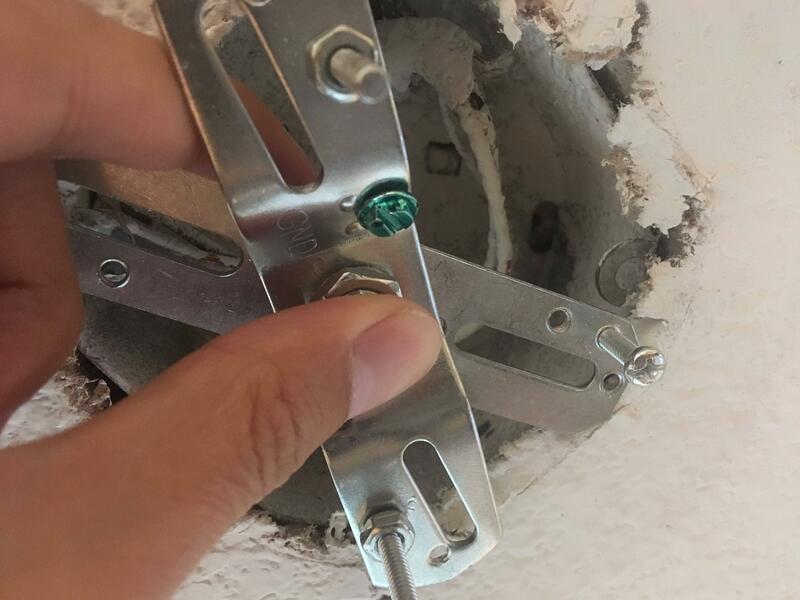 Not only do the screws slide right through the hole, but bigger screws won't fit through the bracket holes. Here is a picture of the screw that is supposed to go into the box. You can't tell, but it's way too small! Is this common? What is the typical solution to get the screws and mounting bracket to fit onto the box? The ears should be threaded to fit the screws, I can see that they are not. The holes look too big so I would get a bigger screw with a bolt and a lock washer. Put the screw through the channeled section of the bracket and the lock washer and nut inside the box. If the head of the screw is not large enough use a washer. Not the answer you're looking for? Browse other questions tagged light-fixture screws mounting or ask your own question. 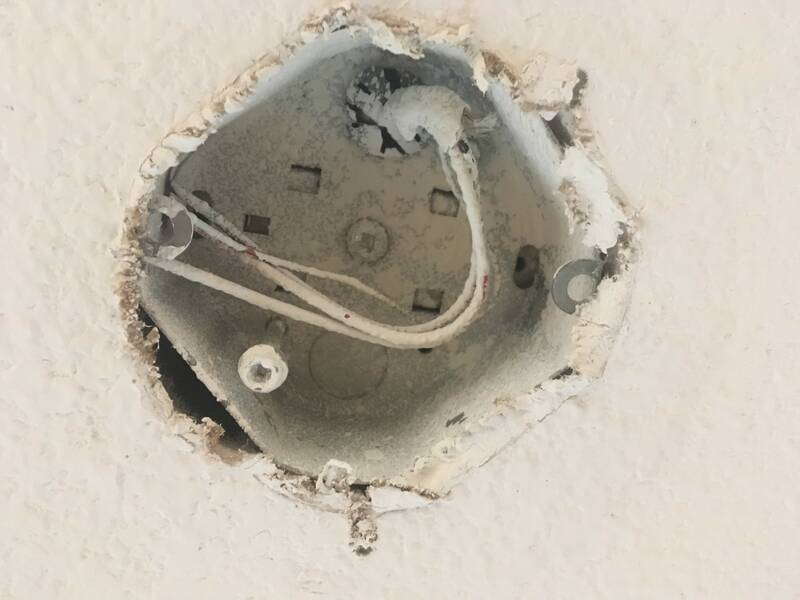 Should I replace this fixture box or get creative with the mounting?